Technology and life sciences leaders say they’ll remember Paul Allen, the Microsoft co-founder, philanthropist, and investor who passed away Monday at age 65, as an “inspiration” whose work will impact the fields he worked in for years to come. Allen died from complications of non-Hodgkin’s lymphoma, according to a statement from Vulcan, the Seattle-based philanthropy and investment firm he led. Allen was in Seattle at the time of his passing, Vulcan said. Allen and Bill Gates co-founded Microsoft (NASDAQ: MSFT) in 1975. Allen spent eight years at the company, helping to lay the groundwork for Microsoft’s eventual emergence as one of the country’s dominant technology corporations. In 1986, three years after he resigned from Microsoft, Allen founded Vulcan. The organization oversees his business and philanthropic activities—everything from an institute supporting neuroscience research to the pro sports teams in the Pacific Northwest he owned. Allen was diagnosed with non-Hodgkin’s lymphoma in 1982, which precipitated his departure from Microsoft. He had a second brush with the disease more than two decades later. Then in 2012, he announced a $300 million commitment to support research at the Seattle-based nonprofit Allen Institute for Brain Science, which he founded in 2003. That brought his total investment in the institute to more than $500 million. 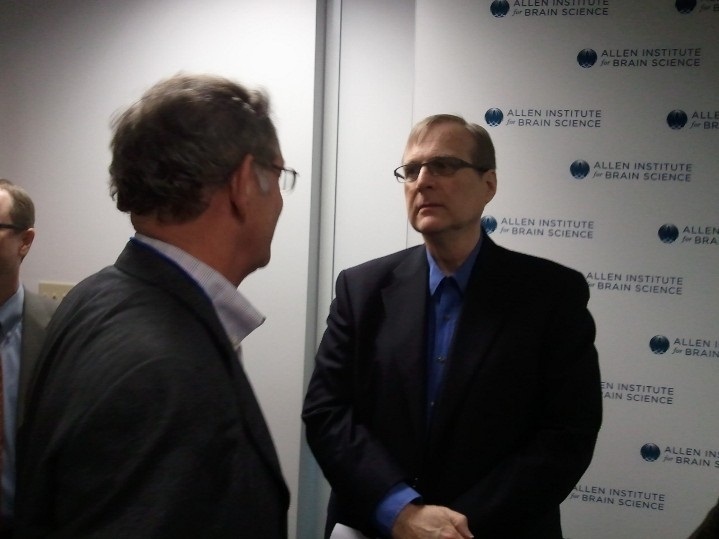 Allen also made philanthropic gifts through the Paul G. Allen Family Foundation. The foundation supported innovation in a range of areas, from artificial intelligence to vaccines for infectious diseases to housing the homeless in Seattle. Ed Boyden, a professor in neurotechnology at MIT, says he first got to know Allen through an invention organization headed by former Microsoft chief technology officer Nathan Myhrvold. After working with Allen on an idea for cancer detection, Boyden and some of his colleagues received funding from Allen’s foundation, which helped the researchers with a project related to “whole-brain observation,” Boyden says. Xconomy’s Corie Lok contributed to this report.